Healthy eating starts from the ground up and that’s just what the Moms Club team in southwest Virginia aims to offer pregnant women. 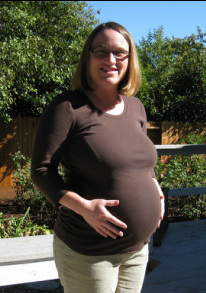 Expecting moms want to do all they can to have a healthy pregnancy and healthy baby. An important part of promoting good health is taking a look at the way we shop for groceries and the way we eat. The Moms Club of Bristol, Washington County and Johnston Memorial Hospital have put on their garden gloves, loaded up their wheelbarrows and headed to the garden to help expecting women learn more about growing their own food and shopping fresh. It’s about the whole process from planting your garden, cultivating, harvesting and cooking it up for your family. We want moms to experience the rewards of growing vegetables and fruits too, then integrating them into their daily diet. This is a garden to demonstrate the various steps and let our moms be a part of the journey from seed to dinner plate. Moms have the opportunity to hear speakers about growing and tending a garden, nutritionists about ways to prepare what they have grown and learn from both novice and experts the secrets to the best tasting veggies. It’s also a chance to pull weeds, water plants and share in the bounty of what we grow. 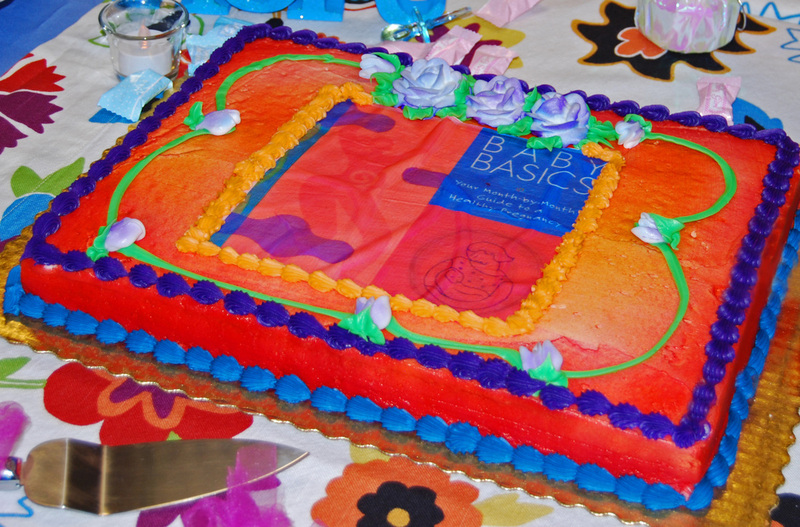 All pregnant women, Moms Club Moms past and present are invited to participate in the fun. We also encourage our community partners that have knowledge they would like to share to contact us about joining us in the garden. Garden space has been provided in-kind by Frye-Shaffer Insurance. 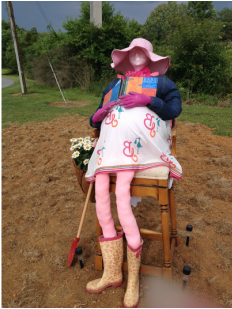 To learn more about sharing in the Moms Club demonstration Garden please call 276-494-5914 or email merry@bbmomsclub.com.Be sure to drive by and take a peek, we are located at the entrance to Lowry Hills on Old Dominion Road, directly across from the DMV and beside Frye- Shaffer Insurance. You can’t miss it! Just look for the pregnant lady in the garden. 1. MYTH – It’s OK for baby’s to sleep on their side. TRUTH - In 1992, the AAP recommended both the side and the back sleeping position to reduce the risk of SIDS. In 1996, however, after reviewing data from various new studies, they revised their recommendation to back sleeping as the only safe sleep position for babies. These reports indicated that the risk for SIDS is greater for babies placed on their sides versus those placed on their backs, perhaps because babies placed on their sides have a higher likelihood of rolling onto their tummies. In 2005, the AAP began recommending against side sleep position for babies. 2. MYTH – Swaddling is and outdated method for comforting a baby. TRUTH – Some experts feel that swaddling in the early weeks can help newborns sleep more comfortably on their backs. This can help minimize the startle reflex and ease colic symptoms in some babies. If you choose to swaddle, take time to learn how to swaddle properly before you leave the hospital. Take care not to swaddle too loosely, as the blanket can come loose and accidently suffocate your baby. Take care not to swaddle too tightly as this can compress your baby’s chest and make it difficult to breathe. Tight swaddling can also cause problems with your baby’s hips and legs. Once your baby starts to wiggle around during sleep, it is probably time to stop swaddling. 3. MYTH – if my baby is on their back and spits up they will choke. "A Look at Your Baby"
"In the 1st month, your baby is about the size of a grain of rice. He or she is beginning to grow arms and legs, develop a brain, a stomach, a nervous system (like wires connecting all the different parts of the body), and, of course, a heart." Your body is changing too. You may previously have had plenty of energy, but now always feel tired. You may experience heartburn, gas, bloating, sick to your stomach, and urinate more. All these changes are normal. Every pregnant woman is different. Your main goal is to have a healthy pregnancy and make a healthy baby! Start loving your baby now. Rub your belly. Talk, sing, play soft music to it. 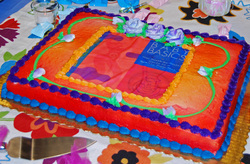 And, of course, plan to attend one of our Baby Basics Moms Clubs! We can't wait to meet you! Hello expecting moms and dads! As you journey along in your pregnancy we want you to make a healthy baby. Remember you need a team to make this happen. Your growing baby can’t tell you when it’s feeling sick or not growing right. A healthcare provider (doctor, nurse or midwife) will be able to see how your baby’s doing and make sure everything is fine. That’s their job. Your job is to go to them. And…. you can start making changes right now that will help you and your baby have a healthy future. Don’t miss your check ups, eat right, and exercise regularly. You can do it! This week at Abingdon Moms Club we will be talking about “before baby gets here” and positive behaviors. Join us Tuesday evening. To see all locations and dates, check out the calendars of each of our Moms Clubs. We look forward to seeing you there and remember every time you come to Abingdon Moms Club you get diapers and dinner!